In most business situations the results we need to achieve cannot be accomplished by people working in isolation. Teamwork is required to get the work done on time and to the standard needed. But working together as a team does not always come easily to some people. 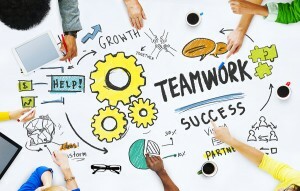 As a team leader you play a crucial role in building an effective team. 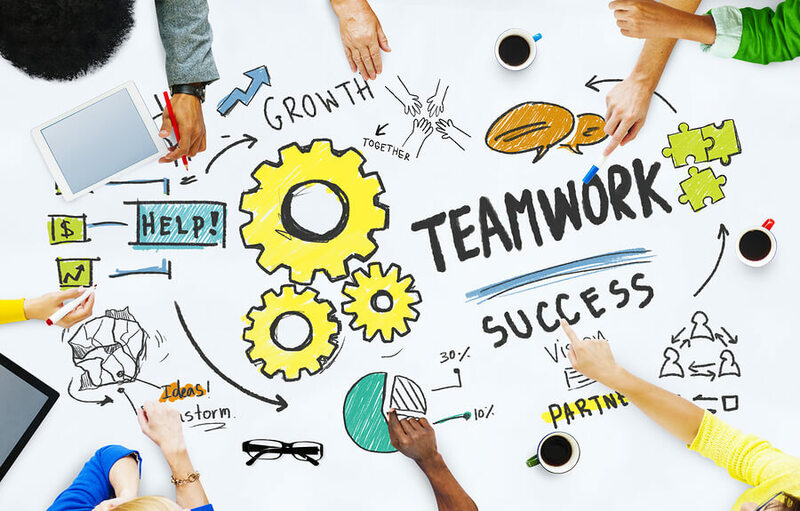 An effective team is one that produces better business results, both in terms of quantity and quality, than the same group of individuals working alone. As a team leader you cannot know, or do, everything. All effective teams are built upon a diversity of skills and strengths. By encouraging diversity, in the form of a variety of experiences and backgrounds in your team, and allowing people the opportunity to express their different viewpoints at one-to-one and team meetings you will solve problems more creatively and so make better decisions. Effective teams consist of people who trust each other. They work hard so as not to let each other down. The only way the team leader can make a team member trustworthy is to first trust them, and the surest way to make them untrustworthy is for the team leader to distrust them. So in order to build trust in your team, you must first give it. If you mistrust people you will expect the worst and micromanage them. If you change your assumptions and assume that your team members will do as you ask you create an atmosphere of trust and people will, usually, live up to these expectations. You cannot stop conflict, it will occur at some point in any team. However, it is important to recognise that not all conflict is bad and negative. Some constructive conflict is required to prevent problems arising or to find better ways of doing things. Some conflict, however, is not positive as it adds no value to the team. In these situations you must have the courage to deal with it quickly, openly and transparently and not allow grudges to build up that will destroy the team’s morale and affect their performance. Positive performance management is in essence giving the people in your team clear objectives and targets to aim for and then supporting them with encouragement and the resources they need. If you do this then you are able to demand - and expect - the very best from them. It is also about giving your team regular and specific feedback. Everyone, both individually and as a team, should know exactly how they are performing and what they need to do both individually and collectively if their performance is not good enough. You must give praise when it is due, but you must also not shy away from having “tough” conversations when these are required. Effective teams have a team culture that is open, transparent, positive and future-focused. This positive environment will not happen overnight, the team leader needs to consistently recognise, reinforce and reward the actions that lead to the right culture and the team’s success. One way to do this is to ensure you have a ‘no blame’ culture. By taking a forward-looking view on any problems that arise, rather than trying to blame someone for the problem, you go a long way to encouraging the right environment for your team's success. Review your team leadership and ensure that you are doing these five things to build your team.